Stories about the environment focused on the Pacific Northwest, with many from KNKX's Environment reporter, Bellamy Pailthorp. 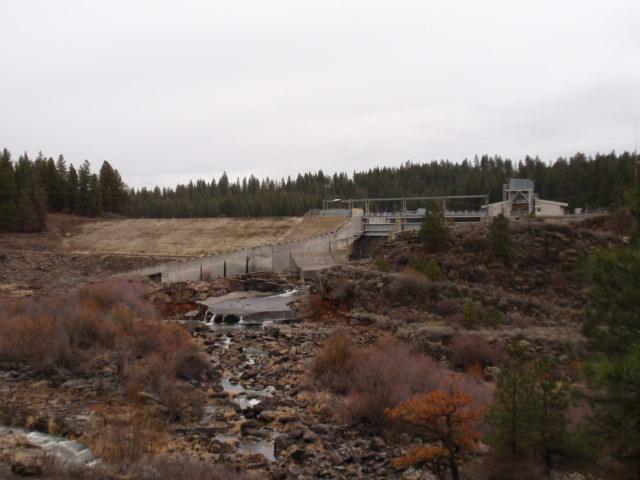 Medford, Ore. — The U.S. Secretary of Interior released this week a draft report on impact of tearing down four dams on the Klamath River. 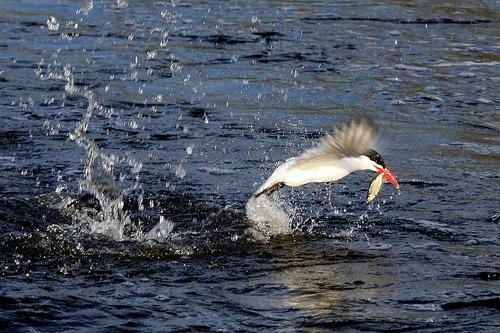 It concludes that getting rid of the dams would increase salmon populations and create thousands of jobs. But Congress could still scuttle the deal. Secretary Salazar has until March of next year to decide if removing four dams and implementing a restoration and water sharing plan in the Klamath Basin is in the public interest. RICHLAND, Wash. – The Waste Treatment Plant at the Hanford Nuclear Reservation is getting more scrutiny after complaints over its safety culture. The U.S. Government Accountability Office – the investigative arm of Congress – is launching a review. Representatives Henry Waxman of California and Diana DeGett of Colorado asked for the study. Both are members of the House Energy and Commerce Committee. 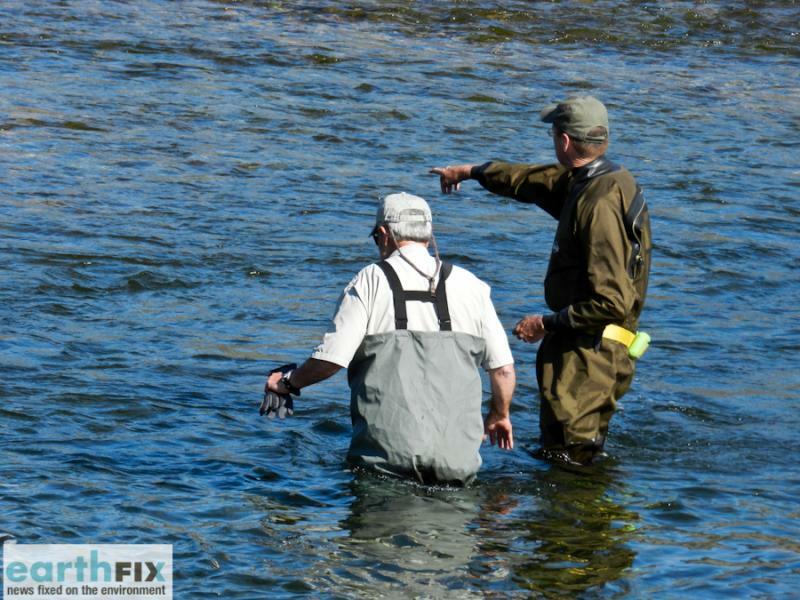 The effort to remove four dams along the Klamath River has come one step closer to reality. The U.S. Department of the Interior released a series of long-awaited environmental impact studies today which conclude that removing the dams would boost salmon runs and improve water quality. 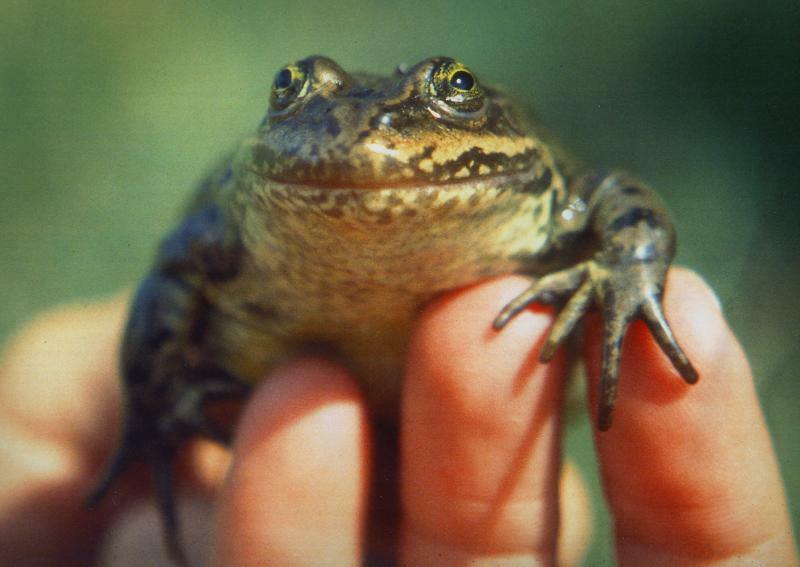 The Woodland Park Zoo is getting ready to release about 1,400 Oregon spotted frogs into Washington wetlands in a move to try to save the imperiled species. RICHLAND, Wash. – U.S. 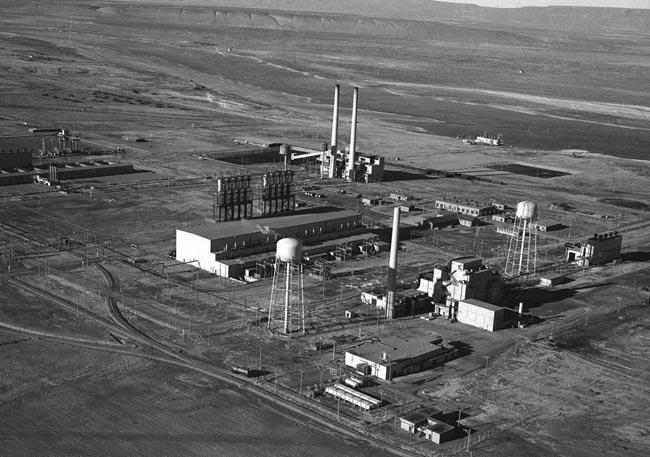 Interior Secretary Ken Salazar says turning a historic piece of the Hanford Nuclear Reservation into a National Park would be good for the Northwest economy. He made the comment during a tour of Eastern Washington this weekend. 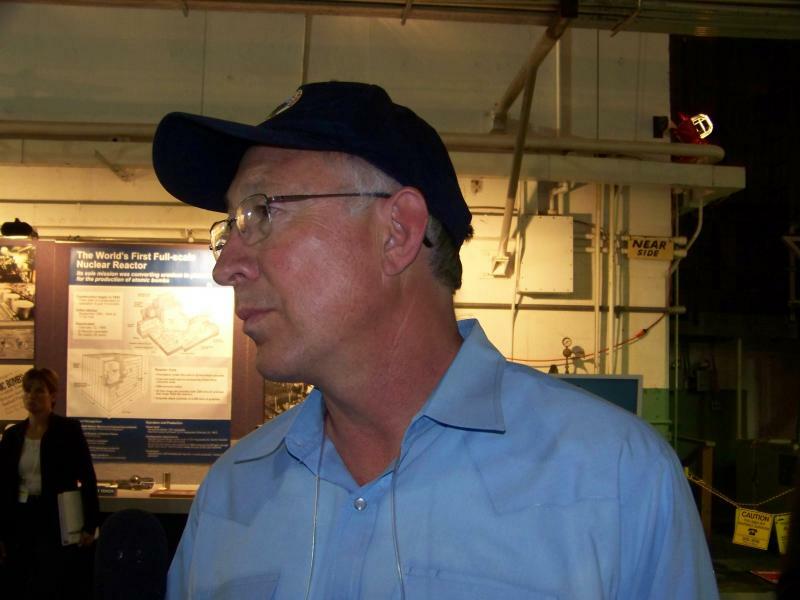 RICHLAND, Wash. (AP) — Interior Secretary Ken Salazar says the historic B Reactor at the Hanford nuclear reservation should be part of a national park to tell how the nuclear era was born out of World War II. Salazar visited the reactor Sunday with Sen. Maria Cantwell, Rep. Doc Hastings and Gov. Chris Gregoire. The Tri-City Herald reports the B Reactor would be a key attraction in the Manhattan Project National Historical Park along with properties at Los Alamos, N.M., and Oak Ridge. 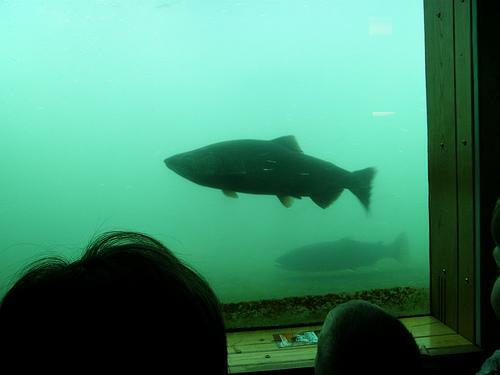 Tenn.
SEATTLE — Wild-fish advocates say they plan to sue federal and Washington state agencies over a fish hatchery built as part of the Elwha River restoration project. 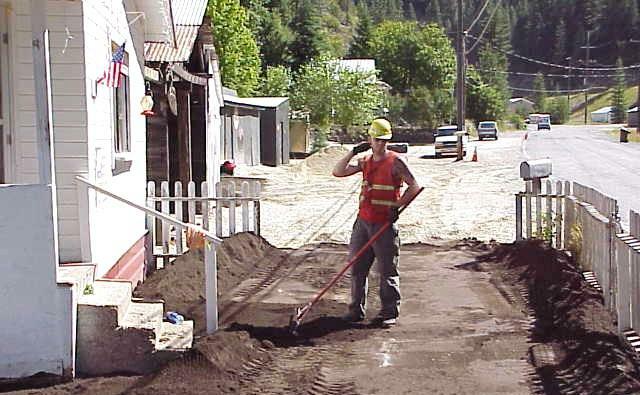 Medford, Ore -- The Environmental Protection Agency placed a housing development in Southern Oregon on the superfund list Thursday. Eighty people, about half of them children, used to live at North Ridge Estates in Klamath Falls. The EPA began cleaning up asbestos there in 2003. The agency removed almost 150 tons of contaminated soil and debris, the remains of army barracks that had once been on the site. But each spring, more asbestos worked its way to the surface. 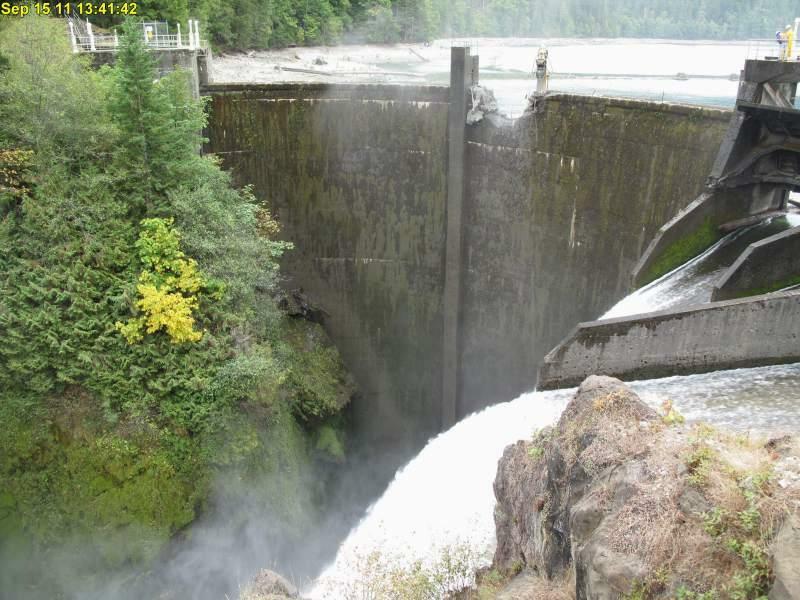 Six webcams will snap pictures throughout the day during the three-year removal process the Elwha River dams. RICHLAND, Wash. – As salmon wind their way through dams on the Columbia River, a small percentage ultimately end up passing through turbines. A project that helps fish move more safely through turbines recently received a grant to expand its scope. RICHLAND, Wash. – As the Pacific Northwest begins to integrate more renewable energy, grid operators sometimes have trouble predicting the variability that comes with it. Researchers have found a way to use electric vehicles to help balance wind power’s inconsistency. BOISE, Idaho – Two wolf advocacy organizations officially made their case last week in federal court to get wolves listed as endangered species. 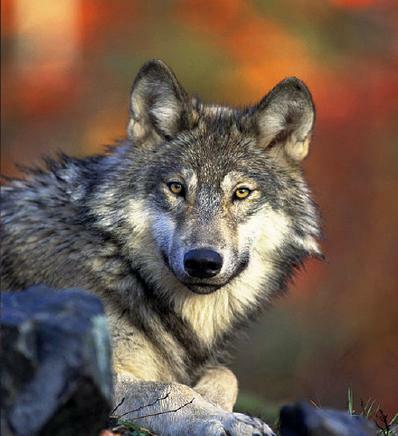 They want the 9th Circuit Court of Appeals to rule that taking wolves off the Endangered Species list earlier this year was unconstitutional. An environmental clean-up settlement could also be a mini-stimulus for the Inland Northwest economy. A federal judge has approved the Hecla Mining company's $263 million settlement in one of the largest superfund clean-up projects in the country. 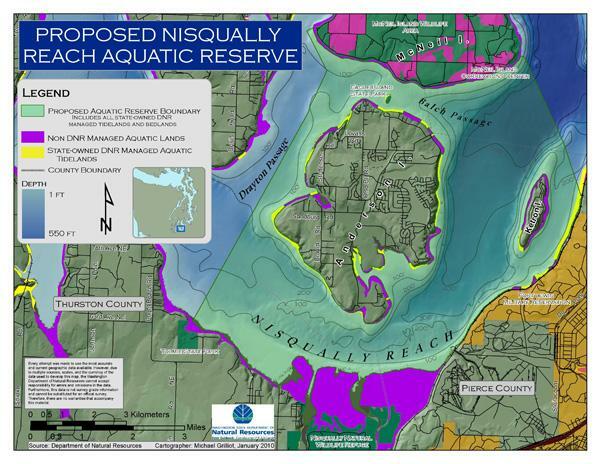 The state is adding 15,000 acres of protected land around the Nisqually Reach Wildlife Refuge, exempting it from commercial development of any kind. All the land is under water. It’s the seventh and southern-most area in Puget Sound to be designated as an Aquatic Reserve. Signing of a new management plan takes place today at 1:30 p.m. Responsible fishing and fish consumption were among the agenda items at the annual meeting of the American Fisheries Society in Seattle. 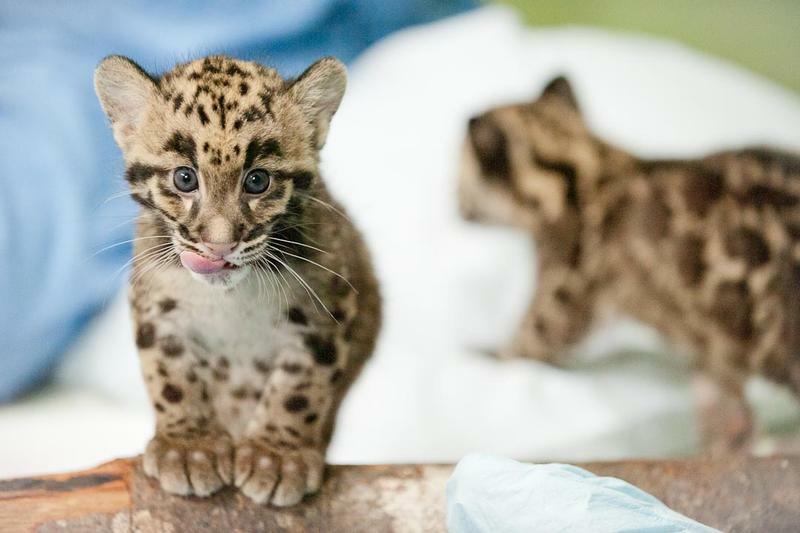 The conference (in its 141st year) has brought thousands of scientists, wildlife managers and other experts together for five days of wide-ranging discussions. 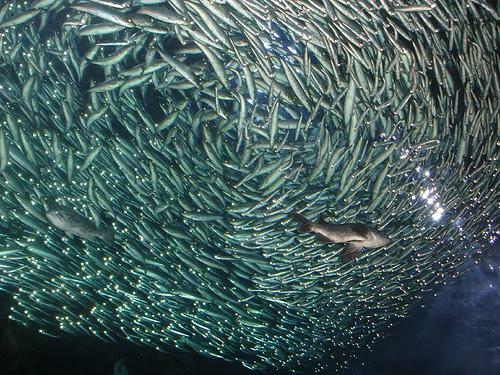 One of the more intriguing messages: Eating more sardines may be one of the best things you can do to help keep the planet healthy. 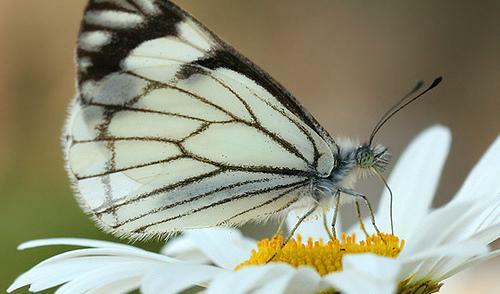 RICHLAND, Wash. – It's been 30 years since the last outbreak, but now white butterflies are flitting between pine trees across areas of eastern Oregon and Washington. The same forces of nature that create natural hot springs and volcanoes may soon become a source of electricity in Snohomish County. The county’s Public Utility District has broken ground on a deep geothermic well, just north of the town of Skykomish. 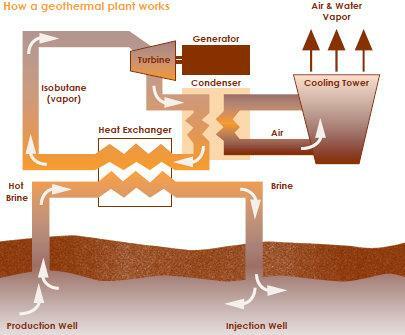 The exploratory well is the first of its kind in Washington. Grants awarded to improve hydropower generation in Wash.
RICHLAND, Wash. – New projects in the Pacific Northwest may soon improve the efficiency and reduce costs of hydropower generation, thanks to a new round of federal spending announced today. 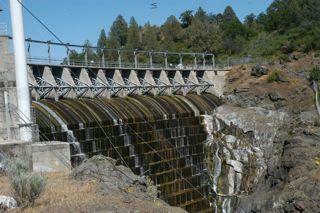 Two projects in Washington received grants to help improve hydropower generation. 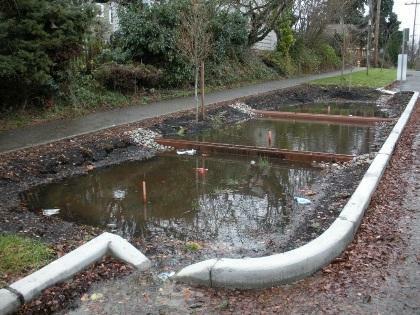 Just a year ago, Seattle was promoting its roadside rain garden project in Ballard. Now, the city is spending half a million dollars to dismantle huge sections of it. Some neighborhood residents say, despite good intentions, the whole thing has been a fiasco. It’s been eight months since Nissan made its first delivery of its all-electric Leaf car to a customer in the pacific Northwest. 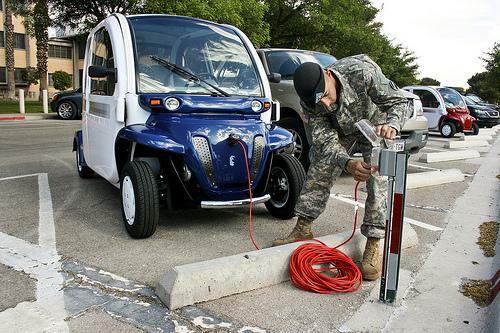 Now, driving an all-electric vehicle is well on its way to becoming mainstream reality. 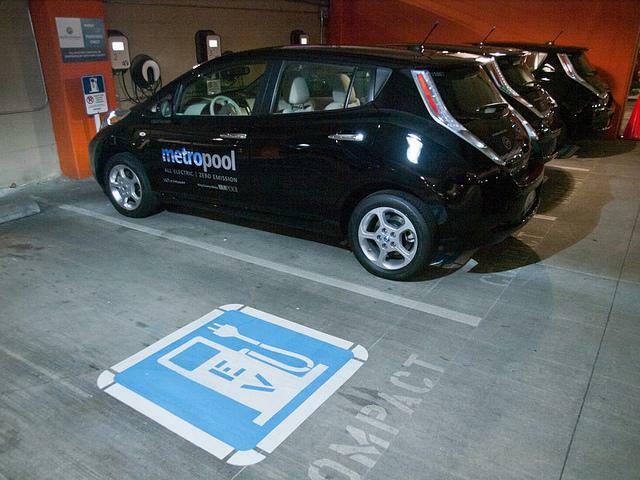 A pilot program is installing thousands of electric car charging stations in the Puget Sound region and making them more available to regular folks. The Eugene-based Oregon Toxics Alliance has published a report that looks at pesticide use on 5 state highways in Lane County. The organization wants the state to reduce its use of chemicals along roadways. EAST SAND ISLAND, Wash. — An attempt by government wildlife experts to control seabirds at the mouth of the Columbia River has led to some unintended consequences, all of which have been detrimental to salmon. 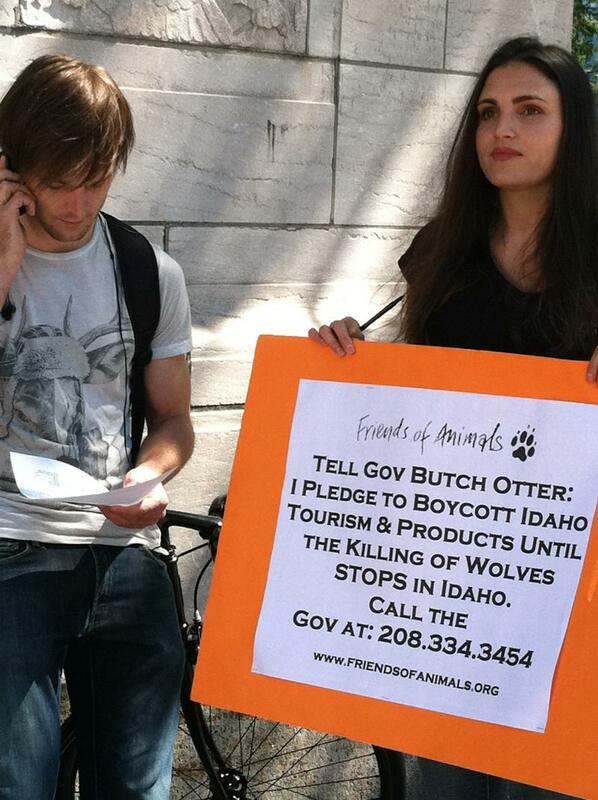 BOISE, Idaho – As Idaho opened it’s 2011 wolf hunt today, critics started voicing their concern across the country. One group asked people at Central Park in New York City to call Idaho Governor Butch Otter and ask him to stop the hunt. The New York based group Friends of Animals says this is a last minute effort in response to the 9th Circuit Court of Appeals decision last week to turn down a request to stop the wolf hunts in Idaho and Montana. 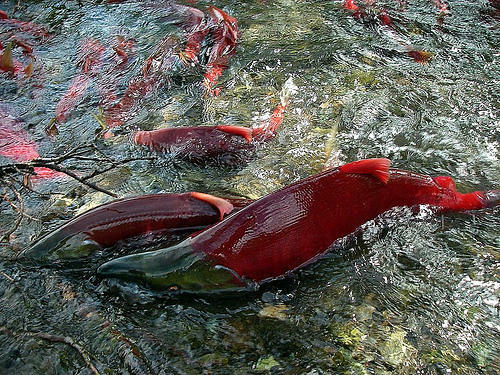 Sockeye salmon returning to Canada this year will be tested by the Canadian Food Inspection Agency (CFIA) for radiation contamination that might be picked up in the North Pacific from Japan's Fukushima nuclear disaster. However, Washington state officials have no plans to test salmon specifically for radiation related to the Japanese disaster because earlier environmental testing showed so few signs of radiation that current levels in fish, if any, would be "undetectable," a spokesperson for the Department of Health said. SEQUIM, Wash. — Nine orphaned barn owl owlets that were raised with the help of a couple of surrogate mother barn owls have flown the nest at the Northwest Raptor and Wildlife Center in Sequim. Wildlife experts say bear attacks are rising – but then, so is the number of people in bear country. Yellowstone National Park officials confirmed that a grizzly bear killed a hiker from Michigan. 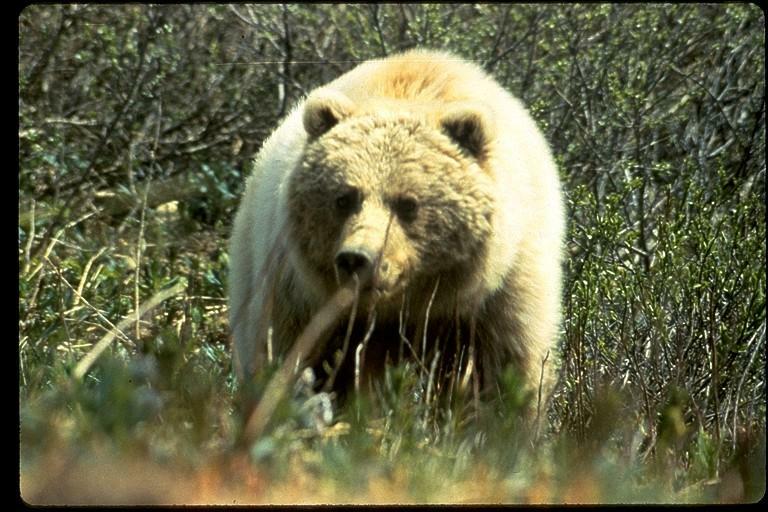 That's the second grizzly-caused death in the park this summer. 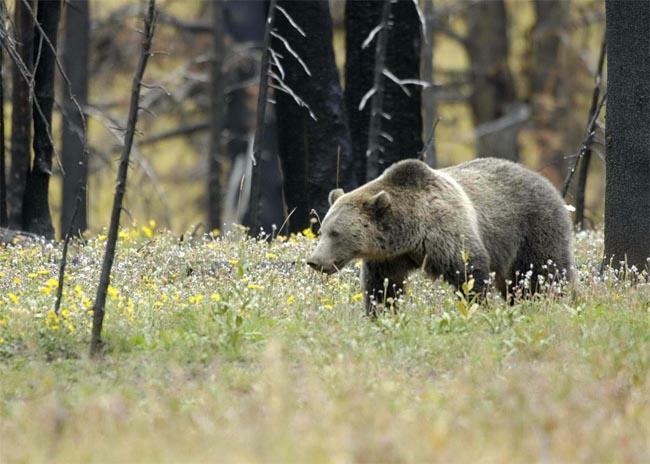 According to the Montana-based Center for Wildlife Information, run-ins with grizzly and black bears have increased in the last 20 years in North America. To some degree, that's expected. Bear populations have dramatically increased, and more people live and recreate in bear habitat now.